By dropping the numbered blocks down, you can add them and make bigger summed blocks! More higher numbered blocks you add, more points you get, Higher the points, higher the ranks! 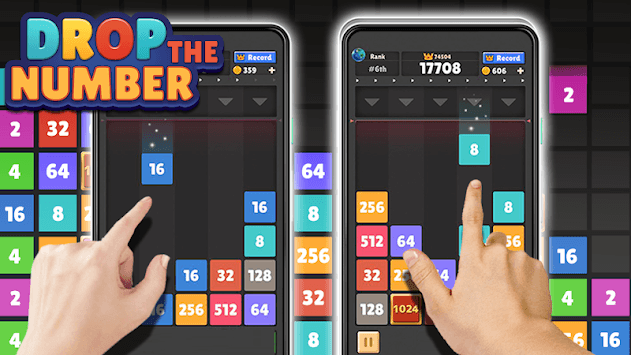 - Drop the blocks onto another one with the same number. - Merge or combine them into a bigger number. 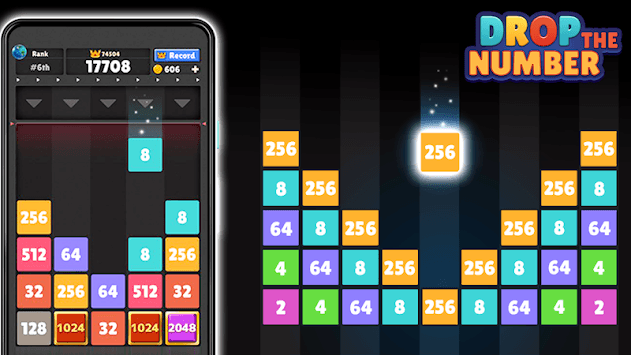 - Get bigger numbered blocks and earn higher points! - Over 13 languages supported! 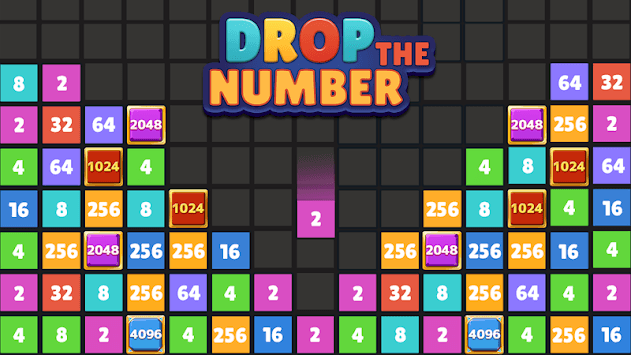 Can you become the #1 player in Drop the Number?